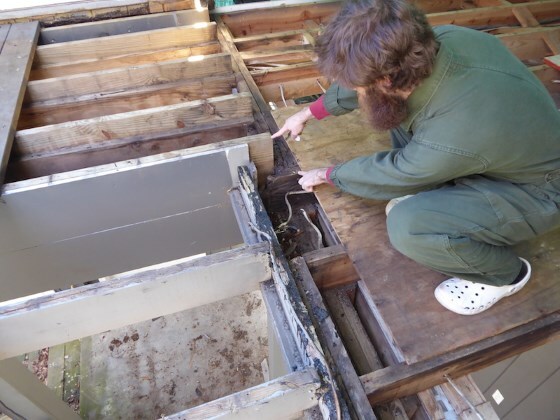 Debbie's son has a tough leak at his home with a flat roof and attached deck. TJ lives in Oklahoma and he and his wife want to be the GC on their own new home. Will it turn into a nightmare? 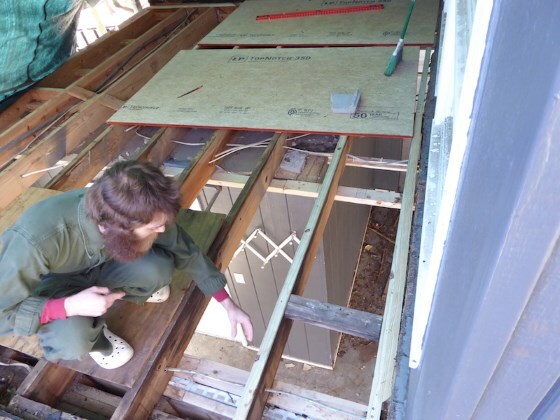 Ann is transforming unfinished attic space above a garage. How best to heat it? Tim shares a story about the new custom kitchen backsplash tile, pure white countertops and molten metal. - NOTE: Transcript of this story below. General Contracting Yourself - What Can Possibly Go Wrong? This is the NuHeat thermostat in Tim's man cave. NuHeat now has a NEWER model that can be controlled by WiFi no matter where you are in the world. CLICK THE PHOTO to have it delivered to your home. I love my wife Kathy like no other, but I have to tell you that I’m so glad she’s not here as I spin this yarn. No doubt her version might be a little different than what I’m going to share. Her title to the story would most likely be: Don’t Let Your Idiot Husband Tell You Everything’s Going to be Fine. Kathy and I had been married less than three years. We were already in our second home, a stunning five-bedroom frame house at the top of Robison Road in the Pleasant Ridge subdivision of Cincinnati, Ohio. The older woman who we bought it from had not updated the house in years. Kathy and I decided to add a wall here, take one down there and change the house to fit our lifestyle. The kitchen of the home needed a major remodeling that included taking two rooms and transforming the space into one giant room. This allowed us to triple or quadruple the amount of counter space, including a new massive center island. Kathy’s younger sister got involved in the project. She loved painting as a hobby and volunteered to hand-paint some of the white tiles for the countertop backsplashes. Different delicate yellow and green random flowers were applied on the 4x4 white tiles using durable oil-based paints. My guess is twenty or so of these one-of-a-kind tiles were placed randomly around the kitchen. It was quite a bit of work to create them. Part of the whole-house remodel included rewiring. The house really needed it. The wiring was so old that up in the third-floor front room where the electric wires came in from the street an open blade knife switch was right there on the wall in case you wanted to turn off the electricity to the entire house. Talk about DANGEROUS! I think I still have that switch packed away as a memento. You need to have the backsplashes complete before you install the new electric outlets and cover plates. The tile is cut tight to the outline of the electric boxes. It’s important to realize the countertops were brilliant white formica. Kathy loved them and knew they’d help make the kitchen appear more spacious than it was. The day I decided to install the duplex outlets and switches found both Kathy and I in the kitchen. She was excited to see the kitchen come together and the outlets were one of the last remaining things on the punch list. “Don’t you think you should put a drop cloth on the top so you don’t scratch it?” That was a great question Kathy asked. “Oh, formica’s tough I’m not going to scratch it.” Scratches were to be the least of my worries as it would turn out. I set my screwdriver, wire strippers and needle-nose pliers right on the formica. Kathy frowned. Another key point is the electric panel was just a 15-second trip down the basement stairs from where I was standing. But my hubris was blocking me. I proceeded to carefully pull the wires out of the box and started to strip the small amount of insulation from the ends. I was being so very careful not to cause a short. To the best of my recollection I had several wires and the ground wire successfully attached to the outlet before the explosion. My screwdriver slipped and I shorted the hot wire against the grounded frame of the outlet. A loud POP and a giant FLASH including a miniature fireworks display showering molten metal everywhere resulted from this stupid mistake. “Look! There are burn marks on Eileen’s tile. 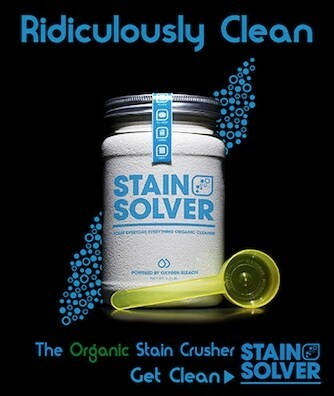 What about those small black holes in the countertop?” Kathy was furious and fumed out of the kitchen. I was humiliated. That day she lost a little bit of trust in me and to this day she always makes sure I have the circuit breaker off when I’m doing any electrical repairs. She almost always reminds me of my bonehead mistake made all those years ago. No wonder I can’t forget about it! It was foolish of me to try to work with the energized wires. Don’t do it. Don’t be a scorched or shocked fool!